“I feel blessed to be a part of the SRMS IBS family because it has given me the platform to mould myself into a professional in keeping with industry requirements,” says Tanya Gupta, student of 2015 – 17. 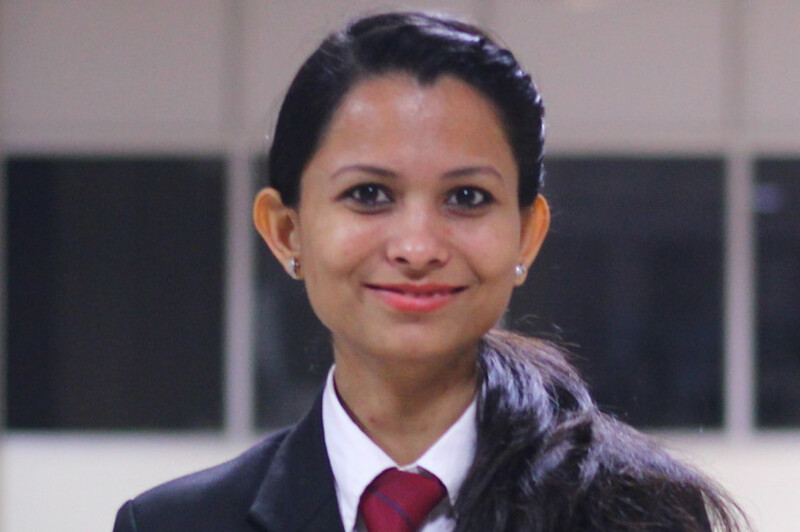 She enrolled for the PGDM program at the institute in a bid to boost her corporate career prospects. Today she has been placed with JARO Education with a Rs. 6.66 lakhs package and believes that decision she made two years ago has paid off. Tanya’s was a campus placement and what makes it a double celebration for her is the fact that her batch mate Chavi Khushwaha has been placed with the company as well. However she remains mindful of the fact that it wouldn’t have been possible without the efforts of the placement cell at SRMS IBS. “The cell headed by Mr. Siddiq Azam does a fantastic job of getting quality placements for students year after year,” she says. According to Tanya the placement cell works as an interface between top organizations that come to the campus for recruitments and students of the college. “The process of companies visiting the campus had already begun in August with JARO Education. Several other top recruiters like Berger, Fedex, Tata Capital and ICICI Securities have also come for recruitments this year and that says a lot about the reach and reputation of the institute,” she adds proudly. The 2016-17 placement season at SRMS IBS has been a successful one with students being placed through on campus and off campus interviews. Tanya is quick to add that it’s the quality of placements that counts as well. “Students from the college get brilliant Return on Investment, which is a factor you have to consider when joining a B School. The placement cell here is going from strength to strength and strives towards its goal of 100% placements,” she states. However the efforts would come to a naught if students were not prepared for the placement process and the challenges ahead. “Last year the cell organized a seminar on Soft skills Development and Career Building in collaboration with IIM Kolkata. There were mock Group Discussions and Personal Interviews, which gave us the confidence for the crucial placement interviews,” she explains. And now the results are there for all to see.